Every year, billions of dollars are raised and awarded for nonprofit organizations. This money is raised with the intent of serving the community in a variety of ways, such as education, healthcare, and many other social services. Nonetheless, many nonprofits around the world do not receive proper funding. Your organization should be able to find adequate funding for your mission. Search thousands of grants on GrantWatch.com to find grants in your region, like this one: $145,000 Grant for Monmouth County, New Jersey Nonprofit by Impact 100 Jersey Coast. Conference date: 04/19/16, Deadline: 06/01/2016. Is Your Organization Eligible for the Impact 100 Grant? Again, project proposals must fall in one of the five, above stated, focus areas: Arts and Culture; Children and Families; Education; Environment, Parks, and Recreation; and Health and Wellness. Applications must be submitted online by June 1, 2016. For more information regarding the eligibility requirements and application process of this grant, visit the Impact 100 website today! When your organizational staff does not have the time, experience, or skill to write grants, GrantWatch suggests that you hire a grant writer to do the complete research involved. A grant writer will represent your organization accurately and provide the necessary experience to each and every grant application. 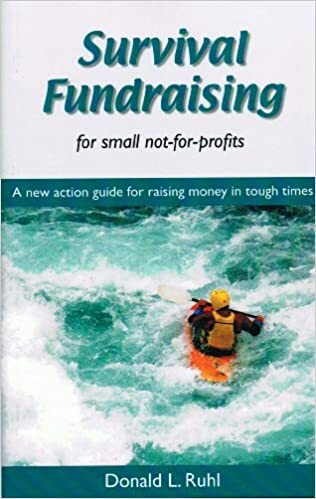 For more tips on fundraising your organization, check out this book titled Survival Fundraising by Donald L. Ruhl. In this book, you will learn how to set your nonprofit apart from the rest, and raise funding immediately. This author tackles the practical problems that every nonprofit faces, and he provides proactive solutions to overcome each of these common obstacles to fundraising. For more information on how you can apply for similar grants, call our team of grant specialists at 561-249-4129 today! We are prepared to assist your organization in using our websites to successfully search for grants to support your mission. About the Author: GrantWatch.com Staff Writer, with Contributions by Rowena Crawford-Phillips, Impact 100 New Jersey, grants committee co-chair.